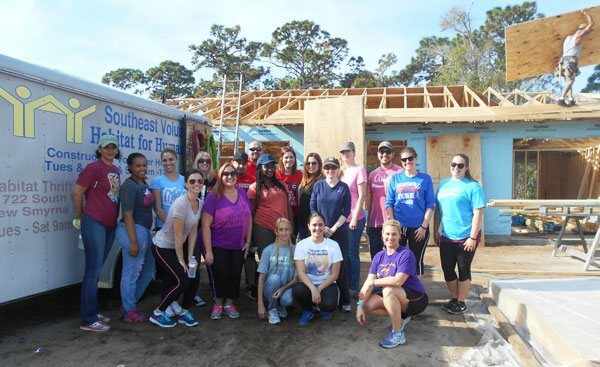 On April 10th, 2019, a group of 22 women joined with SEV Habitat staff and volunteer instructors to work on the construction of the Crum and Milam homes, on Canal Road in the Pinehurst subdivision in Edgewater. We are grateful for the help of Ralph Bower, Greg Lupinski, Mary Barber, and Wendy Flanagan for their expertise and knowledge as our teachers, as we built the walls of the two homes. 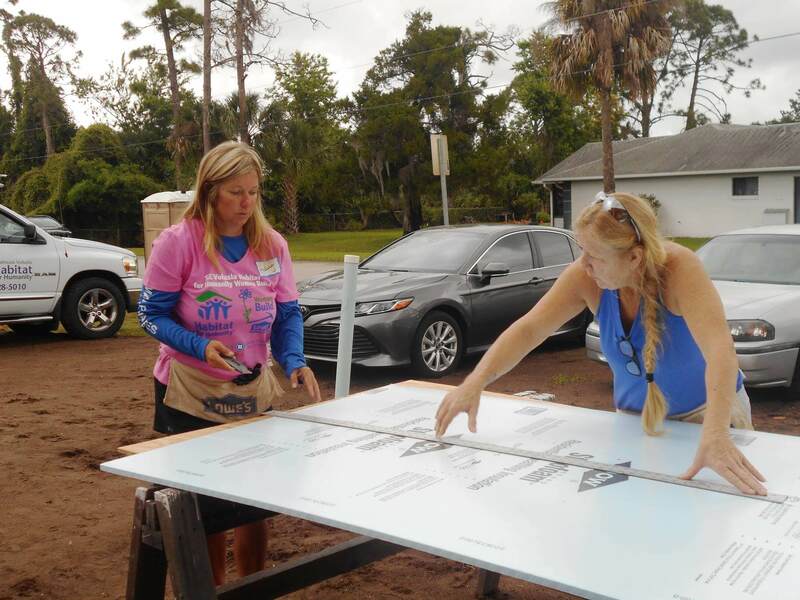 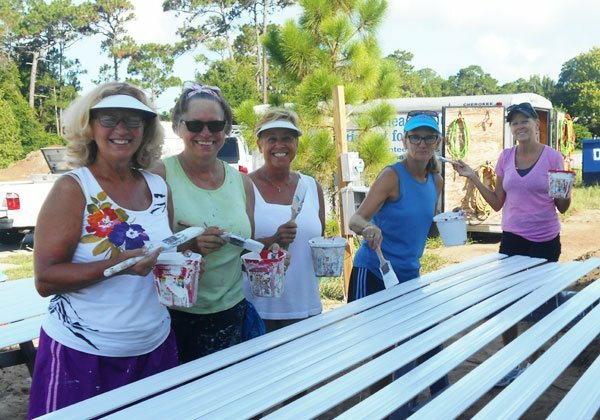 The ladies present included four NSB City Managers, and five staff from SunTrust bank, along with individuals from various businesses, including Allphases Fence and Pavers and Fastenal. 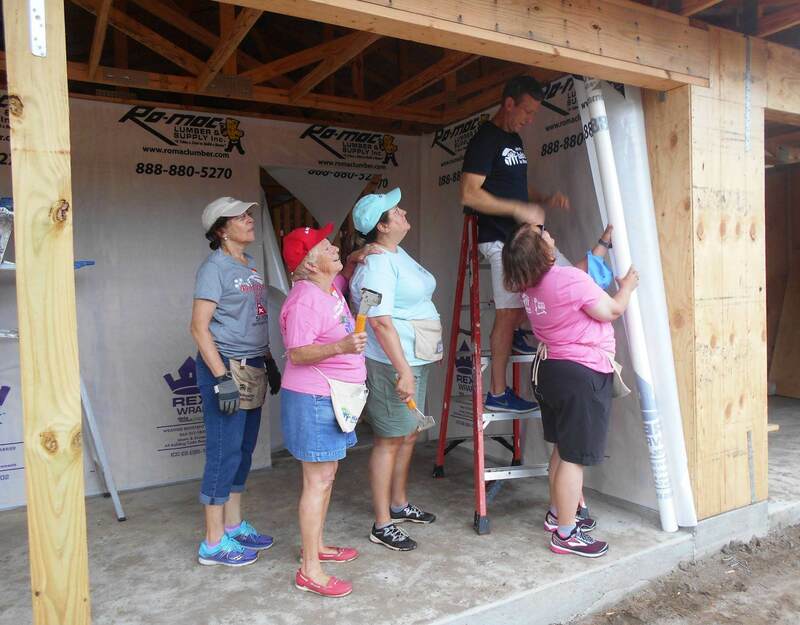 Four future home owners joined the Women Build team. 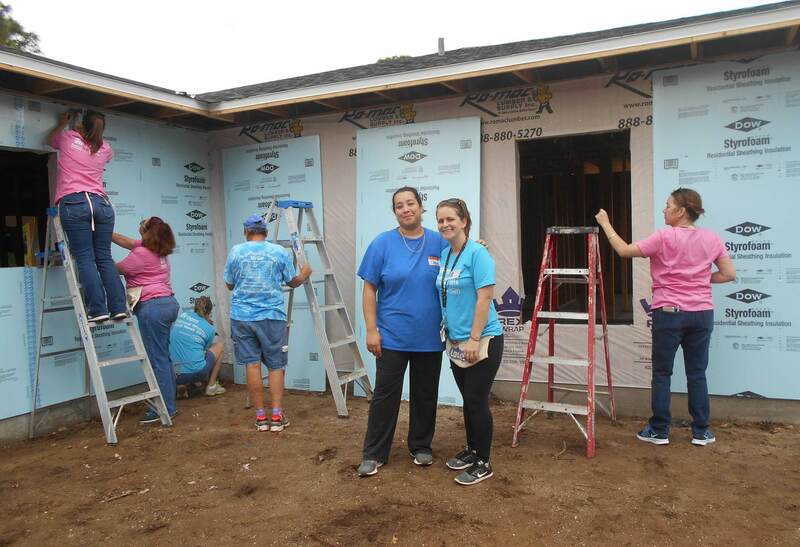 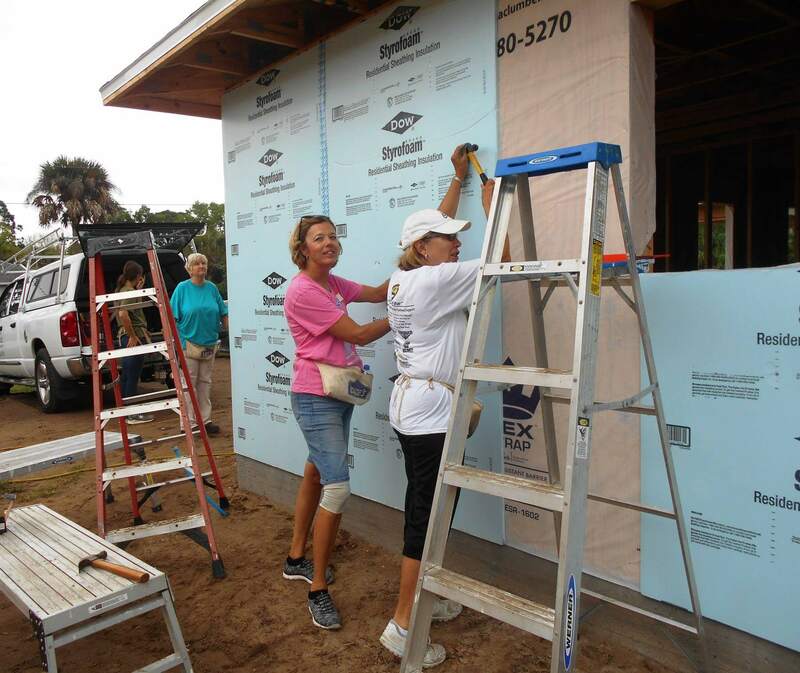 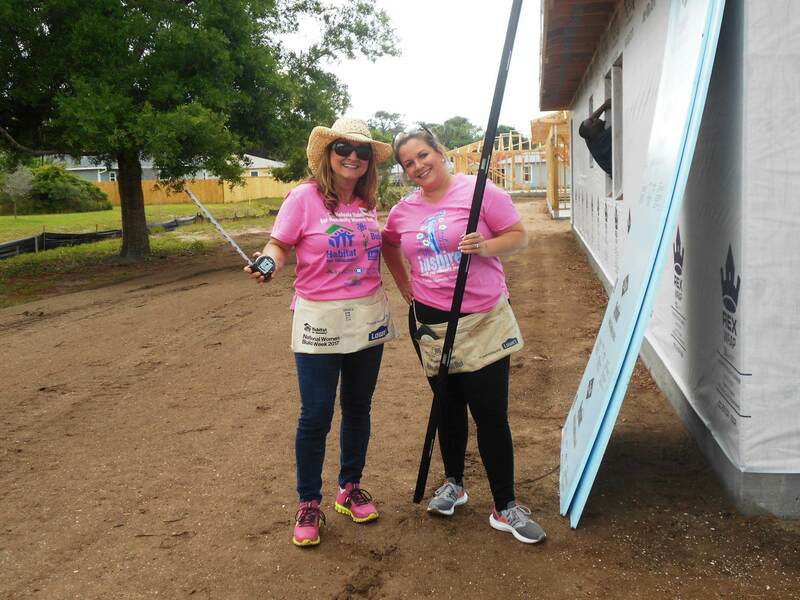 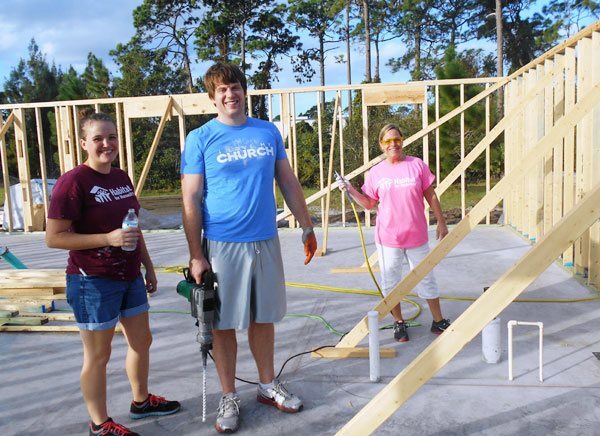 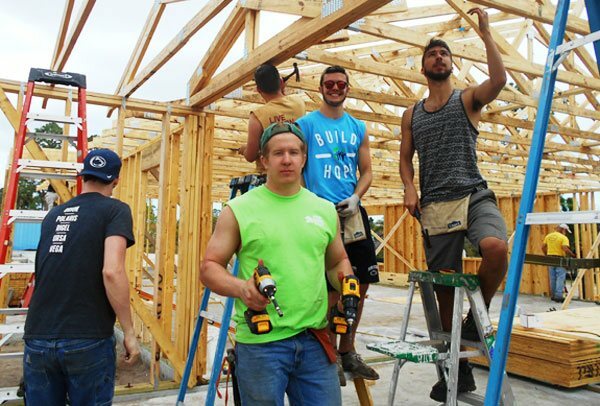 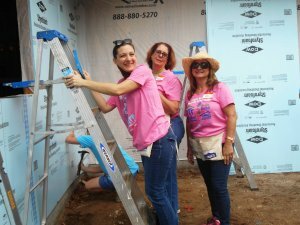 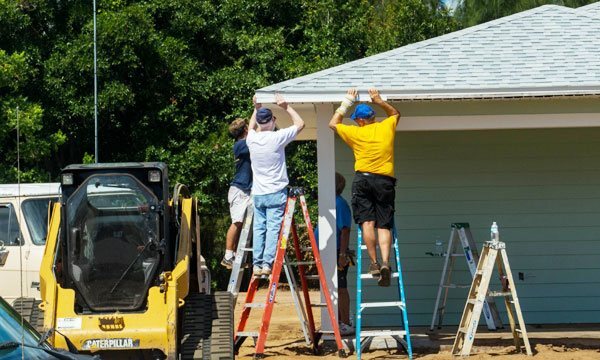 Ashley Melancon and Chase & Iesha Crum worked on the walls alongside the ladies, and Maria Milam attended the break with her children, as each of them spoke of their reasons for joining the Habitat program , and their future plans. 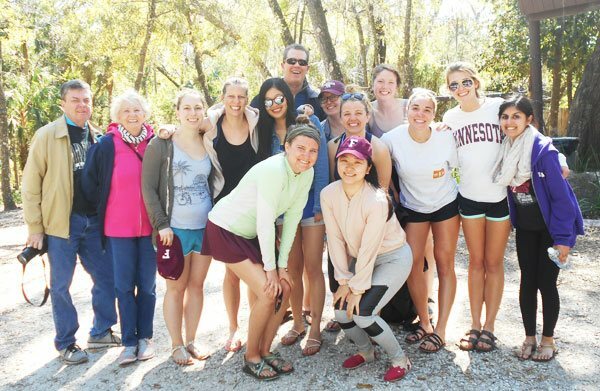 The weather was perfect, as was the company. A good deal of work was accomplished, and a successful morning ended with a hot dog roast, donated by Dairy Queen. 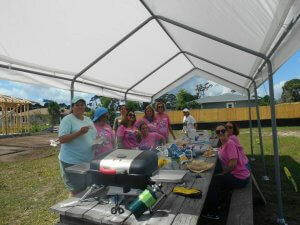 Thank you so much Jason McGuirk for your generosity in donating a great lunch. 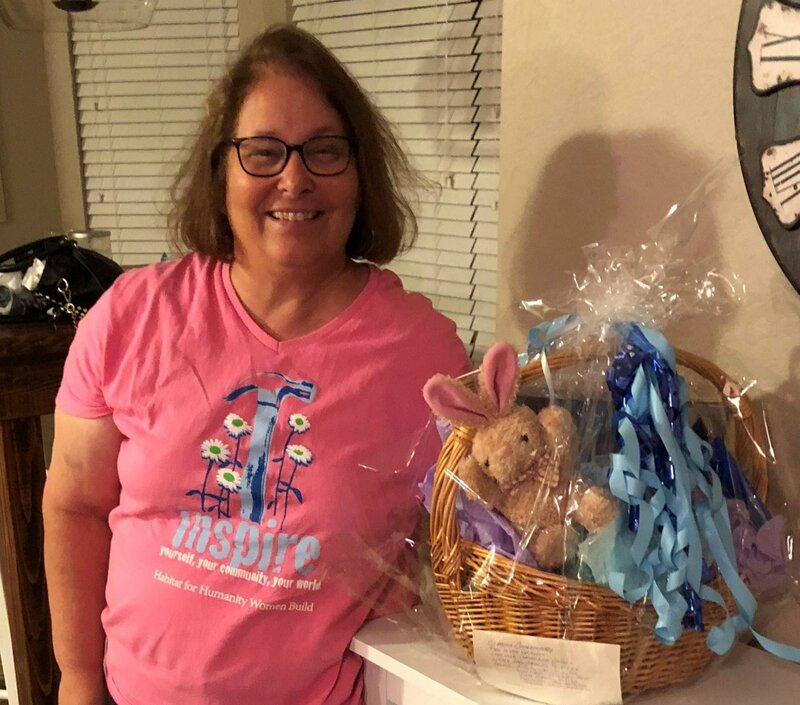 DQ Hot dog roast Nancy Knapp, winner of raffle basket created by Niki Ellinor. 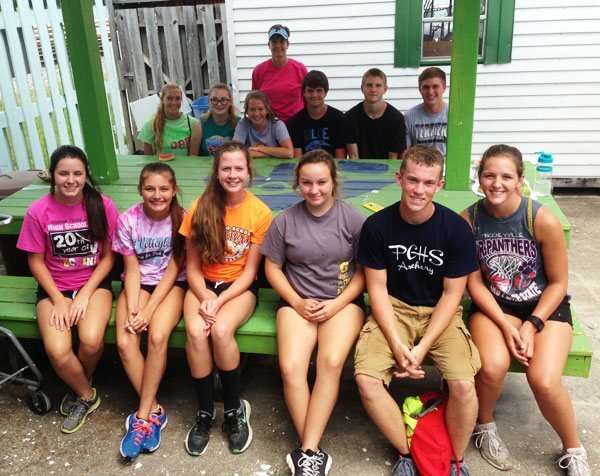 Thanks to everyone for all your hard work.